Does Facebook violate data protection laws? WHO Is Delaying Release of Iraqi Birth Defect Data? There are plans to create a massive database to log every instance of a non-EU citizen entering and leaving the bloc. 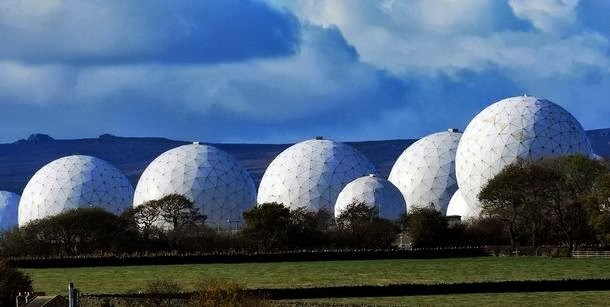 All British government data will soon be available to the CIA, the NSA and other American intelligence agencies thanks to the extension of a controversial spy law. The European Union has warned thatÂ security will be compromised asÂ U.S. intelligence agencies now have the legal right to examine all data stored onÂ U.S. owned Cloud services. Privacy campaigners and medical groups have warned the confidentiality of NHS patients could be in jeopardy as GPs are forced to hand over patient records to a central database. While the main topic of conversation overnight was the Apple implosion after earnings (which was mercifully spared inbound calls from repo desk margin clerks who had all gone home by the time the stock hit $460), there was some macro data to muddle up the picture, which, like everything else in this baffle with BS new normal came in "good/bad cop" pairs. In early trading, all eyes were focused on Japan, whose trade and especially exports imploded when the country posted a record trade gap of 6.93 trillion yen ($78.27 billion) in 2012 and the seventh consecutive monthly drop in exports which showed that improved sentiment has yet to translate into hard economic data. Finance ministry data on Thursday showed that exports fell 5.8 percent in the year to December, more than economists' consensus forecast of a 4.2 percent drop. Trade with China was hit particularly hard following the ongoing island fiasco, which means that all the ongoing Yen destruction has largely been for nothing as organic growth markets simply shut off Japan. This ugly news was marginally offset by a tiny beat in the HSBC China manufacturing PMI which came slightly above consensus at 51.9 vs exp. 51.7, the highest print in 24 months, but as with everything else coming out of China one really shouldn't believe this or any other number in a country that will not allow even one corporate default to prevent the credit-driven illusion from popping. Moving to Europe it too was a good/bad news story: shortly before 3 am the BIS FX team was summoned to defend the 1.33 support after French manufacturing PMI plummeted from 44.6 to 42.7, on expectations of a rise to 45.1 and the realization that the recession has fully engulfed Europe's core. However, this disturbing print was promptly offset by German PMI which in turn rose from 46.0 to 48.8, on expectations of a 46.8 print. Whether this modest bounce will be enough to push Germany out of what is now the first leg of a recession remains to be seen. Judging by the fact that leading German bank announced plans to fire 4,000-6,000 earlier, we doubt there is much hope for a quick rebound in Germany. Elsewhere, Spain reported its last depressionary data point, which was the Q4 unemployment, and which as expected rose to above the expected 26%, or a record 26.02% to be precise in the last quarter, and well above the 25.02% in Q3. Finally, completing the sad European picture were Italian November retail sales which too were worse than expected at -0.4%, on expectations of a -0.1% print, and the prior was revised further down from -1% to -1.3%. Finally, in bad news for socialists everywhere, France has fully abandoned plans for its 75% tax rate, Europe1 reported. China's PMI and Apple's results are the two competing stories overnight with the latter weighing on sentiment in the Asian session. Indeed besides Japan (+1.2%), major bourses in Hong Kong, China and South Korea are down -0.1%, -0.3% and -0.9% respectively. Before we take a closer look at Apple’s disappointing results, the HSBC manufacturing PMI in China came in slightly above consensus (51.9 v 51.7) this morning. This was the highest print in 24 months with the series having gradually recovered from the lows of 47.6 in August of last year. Away from China, other Asian data flow overnight has generally been on the soft side. Korea’s Q4 GDP (+1.5% yoy v +1.8% yoy expected) fell short of market consensus while Japan posted a wider-thanexpected trade deficit (JPY641.5B v JPY-522.8B) in December. For Korea this is the slowest quarterly yoy growth since September 2009 and the Japanese trade deficit in 2012 is the widest on record on an annual basis. Turning to Apple, the company managed to beat EPS consensus ($13.81 v $13.53) but revenue fell short of market expectations ($54.5bn v $54.9bn). More importantly forward looking revenue and gross margin guidance also came in light relative to street estimates. In terms of product performance in the latest quarter, our US colleagues noted that iPhone sales were largely in line but iPad sales were lighter than expected and Macs sales sharply disappointed. Apple’s shares plunged around 10% in after hours trading and have now lost a third of their value from the peak in September last year. Apple’s after market move is also dampening the performance of the S&P 500 Futures (-0.4%) and NASDAQ 100 Futures (-1.5%) overnight. It will be interesting to see how US markets trade throughout today after what proved to be a positive finish to yesterday’s trading session. Indeed the S&P 500 edged higher (+0.15%) for its 6th consecutive session yesterday as sentiment was boosted by news that the US House of Representative has voted (285 v 144) to suspend the debt ceiling for three months. The earnings scorecard before the closing bell was also generally positive with 65% and 81% of companies that reported yesterday coming ahead of analysts’ EPS and revenue expectations, respectively. IBM’s better results helped drive the Dow (+0.49%) up to just less than 1% away from its all time highs. For the record the S&P 500 is also just 5pts away from the symbolic 1,500 mark. On the fixed income side, its quite interesting to note that the Dell-driven LBO theme is pushing the skew on the CDX IG index to negative territory. The index edged a tad tighter yesterday and now trades about 5bps ‘rich’ to intrinsic value as some single names are seeing demand for protection on LBO concerns. Overall January continues to be a good month for risk, continuing the theme from the back end of 2012. However the growth outlook isn’t necessarily much better than where we were 3 months ago. The IMF published its updated global growth forecasts yesterday and now expects global GDP to grow by 3.5% this year. This is a touch lower than the 3.6% forecast they had in October last year. This is still ok but we'll need some upward momentum in the data to reach this level still. In terms of the day ahead, flash PMIs from France, Germany and the Eurozone will be the key European data print today. As we said in our outlook, these readings need to get into the low 50s to justify current levels of markets rather than just above the mid-40s they generally are in Europe at the moment. some of the bigger names reporting today. The news editor of the Scottish Sun has been reported to the procurator fiscal over alleged data protection breaches. Figures obtained from the Information Commissioner's Office reveal marked rise in NHS data protection failures since 2007. Google has said it will delete the stolen Wi-Fi data it accidentally collected with unsecured wireless networks in UK Street View cars, and will not face punishment or fines by the British Government. Nations spying on each other is longstanding. Friends do it on foes. Allies do it on each other. Washington's Government Accountability Office (GAO) said Israel "conducts the most aggressive espionage operation against the United States of any US ally." The Pentagon accused Israel of "actively engag(ing) in military and industrial espionage in the United States." US national security officials consider Israel at times a genuine counterintelligence and espionage threat. France perhaps feels the same way about America. Add Germany to the list. On October 24, the Washington Post headlined "Germans launch probe into allegations of US spying." Reports about NSA listening to her phone calls is the latest diplomatic row. Germany's Foreign Minister Guido Westerwelle summoned US ambassador John Emerson to explain. "For us, spying on close friends and partners is totally unacceptable," he said. "This undermines trust and this can harm our friendship. We need the truth now." Merkel said "trust needs to be reestablished" with Washington. German Defense Minister Thomas de Maiziere called what's gone on "really bad. We can't simply return to business as usual." "The US is not monitoring and will not monitor communications of the chancellor." "We are not going to comment publicly on every specified, alleged intelligence activity." "And, as a matter of policy, we have made clear that the United States gathers foreign intelligence of the type gathered by all nations." "We have diplomatic relations and channels that we use in order to discuss these issues that have clearly caused some tension in our relationships with other nations around the world, and that is where we were having those discussions." State Department spokeswoman Marie Harf lied claiming Washington isn't involved in "some big dragnet." What's ongoing "are intelligence activitiesâ€¦with a defined purpose," she said. "We want to make sure that we’re striking the proper balance between the legitimate security concerns and countering legitimate security threats, and protecting the privacy that all people around the world think is important, and we certainly do as well." "Recent articles published in the French newspaper Le Monde contain inaccurate and misleading information regarding US foreign intelligence activities." "The allegation that the National Security Agency collected more than 70 million “recordings of French citizens’ telephone data” is false." "While we are not going to discuss the details of our activities, we have repeatedly made it clear that the United States gathers intelligence of the type gathered by all nations." "The US collects intelligence to protect the nation, its interests, and its allies from, among other things, threats such as terrorism and the proliferation of weapons of mass destruction." "The United States values our longstanding friendship and alliance with France and we will continue to cooperate on security and intelligence matters going forward." "The report that the chancellor's mobile phone was also tapped shows how absurd the attempt was to end the debate about the surveillance of everyday communications in this country." "In light of the new revelations, it was downright irresponsible not to have pushed harder to get to the truth." Schaar referred to German Chancellery chief of staff Ronald Pofalla's August statement. At the time, he downplayed clear evidence about NSA targeting Germany and other EU nations. Green Party parliamentary floor leader Anton Hofreiter demanded Merkel "make public what she knew and when." Does she or doesn't she know NSA monitors her cell phone calls? Publicly she calls it a "grave breach of trust." "This is a moment when we should pause and think over how the free trade pact is being approached. For us, a line has been reached." US intelligence agencies are "out of control." German officials launched an official investigation. On Wednesday, Merkel spoke to Obama. He lied saying Washington "is not monitoring and will not monitor" her communications. Major Italian newspapers said a parliamentary committee was told Washington monitored internal telecommunications, emails and text messages. Prime Minister Enrico Letta raised the issue with John Kerry. The Secretary of State lied saying Obama's goal was striking a balance between security and privacy. Foreign leaders protest too much. They know more than they admit. Official outrage is mostly for domestic consumption. Allies spying on each other isn't new. "Let's be honest. We eavesdrop too. Everyone is listening to everyone else. But we don't have the same means as the United States, which makes us jealous." At the same time, security expert Constanze Stelzenmueller said there's a "general assumption that certain kinds of people were off limits." "No one has a problem with spying on the bad guys. But when you start spying on your partner in leadership, who is presumably not a terrorist, that raises a lot of questions about trust." London's Guardian said "(w)ith each leak, American soft power hemorrhages, and hard power threatens to seep away with it." Merkel is known as a frequent cell phone communicator. She often sends text messages that way. 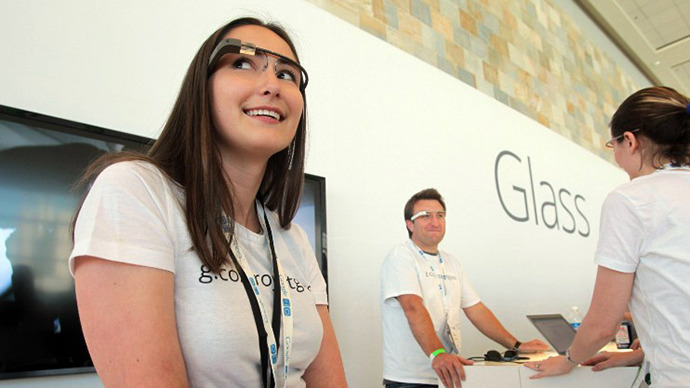 Last summer, her upgrading it to a modified BlackBerry Z10 made national headlines. Diplomats aren't surprised about US spy agencies monitoring allies like Merkel. She and Obama aren't close friends. Obama "failed to foster close relationships with other heads of state," said Der Spiegel. It "caus(ed) much frustration around the world." "Complaints about Merkel's 'lost friend' are misplaced. Obama doesn't want to be a friend." The atmosphere during a recent unnamed EU head of state Washington visit was called "frosty by those in the entourage." "Obama didn't find the time for even a little small talk. (I)t seemed to some like an appointment with a lawyer." Obama was "initially uncomfortable" about Washington's so-called "special relationship" with Britain. An unnamed African head of state remarked after visiting Washington that he longed for the days of George Bush. At least with him, he said, you knew where you stood. Israel was upset that Obama didn't visit during his first term. He's upset other heads of state. "So much non-diplomacy is new among US presidents," said Der Spiegel. Reagan wooed Margaret Thatcher. GHW Bush confided in Helmut Kohl. Clinton was close to Tony Blair. GW Bush had "a whole team of 'buddies.' " He entertained them at his ranch. In 2010, Washington Post columnist Jackson Diehl said Obama has no close friends among world leaders. "But what for," asked Der Spiegel? "He has the NSA." On October 23, the Electronic Frontier Foundation (EFF) headlined "NSA Spying in Congress: Stop the Intelligence Committee and What to Watch for in Upcoming Bills." Congress was busy during the 16 day government shutdown. Various NSA related bills are being considered. A "still secret" House and Senate intelligence one aims to continue unrestrained telecommunications monitoring. It'll "likely provide some window dressing transparency, while shoring up the legal basis for the spying," said EFF. Since Snowden's documents were released, House and Senate intelligence committee chairs Rep. Mike Rogers (R. MI) and Senator Diane Feinstein defended NSA spying. "While we have opinions about what the best way forward is, the only sure way to not go backwards, or seal the status quo into stone, is to stop the bill currently in the works by the Intelligence Committee chairs," said EFF. It wants congressional legislation enacted against mass spying. It should either reverse Patriot Act provision 215 or act in some other way. Section 215 pertains to alleged suspects. It authorizes government access to "any tangible item." Its language is vague and deceptive. It permits meta-data-mining. Virtually anything can be monitored. Warrantless searches without probable cause are authorized. Information obtained can include financial records and transactions, education and medical records, phone conversations, emails, other Internet use, and whatever else Washington wants access to. At issue are serious constitutional violations. First and Fourth Amendment rights are compromised. Other constitutional protections are at risk. Anyone can be spied on for any reason or none at all. No probable cause, reasonable grounds, or suspicions are needed. Lawless practices need fixing, said EFF. FISA Court operations need curbing. Increased transparency is vital. Intrusive National Security Letters (NSLs) are troubling. They've been around since the mid-1980s. Pre-9/11, they had more limited authority to secure records and other personal information on alleged terrorists and spies. The USA Patriot Act's Section 505 changed things. It permits expanded FBI's authority to obtain personal customer records from ISPs, financial institutions, credit companies, and other sources without prior court approval. At issue only is claiming information sought relates to alleged terrorism or espionage investigations. No proof is needed. Innocent people are targeted. Virtually anything in public or private records can be obtained. Gag orders prevent targeted individuals or groups from revealing the information demanded. NSL use continues increasing exponentially. Doing so reflects police state tyranny. Congressional action can change things. Legislation is being proposed to do so. Passage appears unlikely. Hardliners want status quo maintained. Future prospects look dim. “If you are a law-abiding citizen of this country, going about your business and your personal life, you have nothing to fear.” British Foreign Secretary William Hague, responding to the revelations of mass surveillance in the US and the UK (BBC’s The Andrew Marr Show on 9 June). What does William Hague take the British public for? This bureaucrat politician stands in front of the cameras time and again setting out to mislead with his self righteous platitudes. He did it over Libya and tens of thousands lost their lives. His is doing it over Syria with similar results. And he is doing it over mass surveillance by the state. Do not believe we have nothing to fear. We have much to fear. Take the case of Stephen Lawrence, for example, who was lawfully ‘going about his business’ in April 1993, when white racists murdered him while he was waiting for a bus. It has now emerged that, after the murder, four London Metropolitan police officers were deployed to spy on the Lawrence family and Stephen’s friends. The Lawrences were just ‘law-abiding citizens going about their business’. But undercover police were used to smear the Lawrence family’s fight for justice (1). One of those the spies says he job was to hunt for disinformation and dirt in order to stop the Lawrence’s justice campaign in its tracks. Nothing to fear from the state Mr Hague? And then there are the numerous well-documented cases of the police and/or intelligence agencies infiltrating legitimate campaign and protest groups (2) and ‘investigating’ political parties or prominent figures (3)(4) in order to subvert or discredit them. Let us not forget too (how could we?) the massive police cover ups, none more prominent than the Hillsborough case (5). Still nothing to fear Mr Hague? It’s all very convenient for politicians to pull out the magic phrase ‘war on terror’ in a futile attempt to stop any discussion on surveillance in its tracks. If the US-led alliance really wanted to stop or drastically reduce terrorism, it should listen to journalist Nir Rosen’s advice: stop committing it (7). The likes of Obama, Kerry, Hague or Cameron have become experts in churning out their fear-mongering platitudes by using some abstract notion of ‘we’ to imply ‘the nation’ or the ‘national interest’. But ‘we’ – the ordinary folk – need to hold power to account, to question its legitimacy and to challenge it when it is illegitimate. We need to do this to help guarantee our safety, our common interests, our freedoms and threats to democracy. How about more but bottom-up monitoring and surveillance in terms of transparency within government and accountability to ensure decisions are properly scrutinized and genuinely open to pubic debate. In the absence of this, we have corruption, profiteering and the revolving door between government and big business, which all ensure that the powerful and wealthy get away with murder, quite literally when it comes to their illegal wars and mass killing. In the absence of real democracy, we have food safety/regulation authorities being hijacked by corporate interests in order to feather their own nests. We have armaments companies using politicians as their sales lackeys. We have police and intelligence agencies infiltrating, harassing or subverting legitimate groups that have every right to protest, dissent and oppose. We have a wide range of powerful corporate players that lobby, threaten or buy their way towards casting the world in their own self-serving nuclear, retail, biotech, petro-chemical or pharmaceutical image. And we have banks, industries and whole economies that are undemocratically owned and controlled. We also have ‘stuff’ being sprayed onto us without our consent (or very often knowledge) and have no power to stop ‘stuff’ from being sprayed onto us (8). But we are told all this top-down surveillance and all of the increasing unfreedoms are for our own good. We are told that public servants serve us by bowing down to elite interests. We are told that an incredible mass media is credible even though it serves a corporate agenda. The elite, the oligarchs, the ruling class, the one percent – call it how you will. Yet it is we, the people, who are spied on and monitored by them for their good, to serve their interests and to feather their highly privileged and secretive world, a world built on the stolen wealth of both past and present deeds. But don’t worry about any of this. There is no need. If that nice Mr Hague says we’ve nothing to fear, he must be right. The use of external CCTV cameras on UK buses could be in breach of privacy laws, according to a Data Protection Supervisor. CCTV cameras have resulted in the illegal recording of people on their own property. Europe intends to take coercive action against the US-based internet giant Google over its failure to follow orders to comply with the European Union privacy laws. CNIL further added that European data agencies are set to hold talks next week to approve the action plan. The France-based organization will lead the effort. “At the end of a four-month delay accorded to Google to comply with the European data protection directive and to implement effectively (our) recommendations, no answer has been given,” said CNIL. The Internet giant contends the move simplifies and unifies its policies through its various services such as Gmail, YouTube, Android mobile systems, social networks and Internet search. However, critics argue that the policy gives Google, which is the operator of the world's largest search engine, unprecedented ability to monitor its users. Google Inc. is an American multinational corporation that hosts many internet-related services including, Internet search, cloud computing and advertising technologies. Most of the company's profits are generated by the advertising revenue coming from its on-line advertising system known as AdWords. European data protection agencies intend to crack down on the US Internet giant Google before summer after it allegedly failed to follow their orders to comply with EU privacy laws, France’s data watchdog said. "At the end of a four-month delay accorded to Google to comply with the European data protection directive and to implement effectively (our) recommendations, no answer has been given," France's Commission Nationale de l'Informatique et des Libertes (CNIL) data protection agency said in a statement on Monday. CNIL, which led the probe on behalf of EU data-protection authorities, vowed EU regulators “are determined to act and continue their investigations” and their “repressive action.” CNIL did not elaborate on what those measures would entail. European data protection agencies plan to set up a working group to "coordinate their coercive actions which should be implemented before the summer," and they will meet next week to approve the action plan, CNIL continued. In October the data protection agencies warned Google that its new confidentiality policy was not in line with EU laws, giving the Internet giant four months to make changes or face legal action, including possible fines. Google maintained in a statement released Monday that its confidentiality policy was not in breach of EU law. The California-based firm argues the creation of a uniform set of policies for more than 60 of its products last year would improve the user experience and give them a more integrated view of its users – bringing them in line with Apple and Facebook. EU competition authorities are separately investigating whether Google has used its search engine to promote its own services and hinder competitors like Microsoft by manipulating search rankings. Google has offered to change some of its business practices in response to that probe in order to avoid billions of dollars in potential fines. Privacy watchdogs have claimed thatÂ European Union data protection laws are being "copied and pasted"Â directly from technology firm lobby documents. Major tech firms are lobbying theÂ European regulators to makeÂ amendments to theÂ General Data Protection Regulation, which restricts how companies access,Â retain and process user data. The US government is reportedly considering requesting details from banks of foreigners holding accounts in America. The news follows US demands for details of foreign nationals’ accounts abroad. ­Labeled ‘part of a crackdown on tax evasion’, the US will potentially have access to the details of millions of foreign customers who hold accounts with America-based branches, according to Reuters. The move is expected to face strong resistance from the banking industry. Wealthy foreigners and financial institutions that bank in the US could have their account details given to the US government. The Obama administration is expected to make the request of Congress in a forthcoming Whitehouse budget proposal. The Foreign Account Tax Compliance Act (FATCA) already requires overseas financial companies to identify their American customers to the Internal Revenue Service. In January this year, Switzerland’s oldest bank, Wegelin & Co., was forced to close after the US imposed a $22 million fine on the institution, alongside restitution of $20 million to the IRS, and a $15.8 million fee. The bank was accused of allowing American nationals to hide their earnings after US judge gave the Internal Revenue Service (IRS) permission to obtain data on the bank from Swiss financial institution UBS. On January 5th, a Manhattan federal court ruled the information on Wegelin & Co’s former clients could be demanded by the US. It’s highly possible that the new proposal will be part of a move to aid negotiations with foreign financial agencies. Reuters published part of a letter written last October by Mark Mazur, Treasury Assistant Secretary for Tax Policy, saying that the government aimed “to pursue equivalent levels of reciprocal automatic exchange in the future.” America is requesting data from foreign sources even now, and some are resisting its pressure. If successful, it is likely further fines will be imposed. Bilateral agreements mean that four countries have already started sharing information on the finances of their US residents – the United Kingdom, Denmark, Ireland and Mexico. The US is negotiating with another 50 countries. Many have been unable to meet the US’s requirements as they would come into direct conflict with local privacy laws. Some countries, including France, Germany and China have been delaying the sharing of information, as they consider it one-sided and unreasonable that they are expected to share details of the US accounts of French, German and Chinese nationals abroad. However, the US has already progressed in their negotiations with the three. Reuters said that although China appears reluctant to comply, the country is in ‘behind the scenes’ discussions. FATCA requires financial institutions (non-US banks and investment funds) to inform the IRS about accounts held by those from the US with balances of more than $50,000. They face economic restrictions should they fail to provide data. FATCA was set into motion in 2010, and will come into play towards the end of 2013. The IRS held an ‘offshore amnesty’ in October 2011, which offered the opportunity for people with money in offshore bank accounts to come forward, before the IRS found them through data sharing. Switzerland is following the UK and signed a FATCA deal with the US in December 2012, which is due to come into play in January 2014. Switzerland attracts many rich foreigners and has already been subject to US action. “The United States is committed to a policy of transparency and equivalence, where appropriate, in furtherance of international cooperation to combat offshore tax evasion,” said a Treasury spokesman. On January 18th, the European commission also warned the Swiss over its tax practices, saying that if the country did not agree to an automatic exchange of information, it would be ‘blacklisted’, and sanctions could be imposed. * The JP Morgan Chase & Co trader known as the "London whale" tried to alert others at the bank to mounting risks months before his bets ballooned into more than $6 billion in losses, according to people familiar with emails reviewed by J.P. Morgan and a U.S. Senate panel. * The U.S. government filed suit to block Anheuser-Busch InBev's $20.1 billion deal to buy the rest of Grupo Modelo, saying it would reduce competition. * Chinese hackers believed to have government links have been conducting wide-ranging electronic surveillance of media companies including The Wall Street Journal, apparently to spy on reporters covering China and other issues, people familiar with incidents said. * President Barack Obama let his jobs council disband Thursday as its two-year charter expired, sparking criticism among Republicans and conservative economists that the group had provided more show than substantive policy. * Morgan Stanley said it would increase the salaries of Chairman and Chief Executive James Gorman and other top executives to make their pay more competitive. * AirAsia Bhd's chief executive hopes to list the group's Indonesia arm on the Jakarta stock exchange in the third quarter as the budget carrier seeks to expand its foothold in Southeast Asia's largest air travel market. * Roomy Khan, one of the first cooperating witnesses who helped build the U.S. government's case against convicted hedge-fund manager Raj Rajaratnam, was sentenced to one year in prison Thursday. * Animal-medicine maker Zoetis Inc, which is being carved into a standalone company by drug maker Pfizer Inc, raised about $2.2 billion in an initial public offering, a strong showing for the largest IPO deal from a U.S. company since Facebook Inc debuted last May. * Best Buy Co is closing 15 of its 75 big-box stores in Canada as its new chief executive tries to stem slumping sales and profits at the consumer electronics chain. BARCLAYS IN QATAR LOAN PROBE - UK authorities are looking into an allegation that Barclays lent Qatar money to invest in the bank during the height of the 2008 financial crisis, allowing it to avoid a government bailout, according to unnamed sources cited by the newspaper. SEYMOUR PIERCE'S FUTURE UP IN THE AIR - The board of Seymour Pierce held talks on Thursday night over the future of the stockbroker, with an unnamed source saying this has come about due to the FSA previously blocking funding from Ukrainian backers. AB INBEV'S 20 BILLION DOLLAR DEAL THREATENED BY US SUIT - The United States moved to block Anheuser-Busch InBev in its 20 billion dollar acquisition of Grupo Modelo , the Mexican brewer, saying it would lead to an increase in prices and deter competition. LAWSON URGES FULL NATIONALISATION OF RBS - Former Conservative finance minister, Nigel Lawson said the UK government should nationalise RBS and there was a case for no bonuses to paid this year. DEUTSCHE BANK RISES ON CAPITAL STRENGTH - The bank offered good news to investors reporting a capital base above expectations, bolstering its share price. CHINA'S WORKERS ENDURE UNHAPPY NEW YEAR - An austerity drive by the new Chinese leadership of Xi Jinping has led government departments and state-owned enterprises to cut back or cancel new year festivities. US BANKS SQUEEZED AS MORTGAGE PROFITS HIT - Bonanza profits at US banks from mortgages are being squeezed, raising doubts about earnings at lenders such as Wells Fargo, Bank of America and others. WASENDORF GETS 50 YEARS JAIL FOR FRAUD - A federal court in the United States sentenced the ex head of collapsed future broker Peregrine Financial Group, Russell Wasendorf Sr., to 50 years in prison. * The Justice Department has sued to block Anheuser-Busch InBev's proposed $20.1 billion deal to buy control of Grupo Modelo, the first major roadblock in a decade of consolidation by brewers around the world. * A bankruptcy court judge approved a broad settlement deal on Thursday that paves the way for MF Global customers to recover much of the $1.6 billion that disappeared when the brokerage firm blew up in 2011. * European antitrust officials on Thursday accused drug giants Johnson & Johnson and Novartis of colluding to delay the availability of a less expensive generic version of a powerful medication often used to ease severe pain in cancer patients. * James Gorman, chief executive of Morgan Stanley, will receive a huge raise in his base salary this year, but his overall pay package for 2012 was down from 2011, according to a regulatory filing. * Pfizer Inc's animal health unit, known as Zoetis, raised $2.2 billion in its initial public offering on Thursday, exceeding expectations by pricing its stock at $26 a share, above the expected range of $22 to $25 a share. The sale values the company at about $13 billion. * Roomy Khan, a central figure in the investigation that led to the conviction of hedge fund manager Raj Rajaratnam, was sentenced to one year in prison on Thursday for illegally passing inside information and obstructing justice. * Fabrice Tourre, the Goldman Sachs trader accused of misleading clients over a controversial mortgage deal, is no longer working at the firm. * Canada will begin a two-year stint at the helm of the eight-nation Arctic Council amid a clamor of competing calls for leadership, as the ice recedes and the race heats up to extract resource riches while protecting a fragile and now-exposed environment. * Toronto Mayor Rob Ford is publicly at odds with a key member of his team again, this time in a he-said, she-said spat with the Toronto Transit Commission chair. The verbal tussle over the approval last week by the transit commission of a 15-year sole-source contract is the latest example of Ford's difficulty seeing eye to eye with even fiscal conservatives on council. * The Canadian economy expanded at its fastest pace in more than half a year, but the bigger picture is still one of slow growth. The country's gross domestic product rose 0.3 percent in November, Statistics Canada said Thursday, its strongest showing in seven months as auto makers and oil firms ramped up activity. * Prime Minister Stephen Harper says while some of his Conservative Members of Parliament may not agree, abortion is legal in Canada. Harper made the comments while under questioning in the House of Commons over a letter written by three Tory MPs who want the Royal Canadian Mounted Police to investigate hundreds of abortions as possible homicides. * Two of Canada's biggest retailers, Best Buy Canada and Sears Canada Inc, announced layoffs Thursday in what is shaping up to be a turbulent and competitive year for the country's retail sector. -- Premier Wen Jiabao pledged that China would continue its opening up policy during a meeting with foreign experts on Monday. -- The People's Bank of China (PBOC) drained a net 300 billion yuan ($48 billion) via reverse bond repurchase agreements in its open market operations in January as the country's interbank market was flooded with cash. -- The recent serious pollution in Beijing has given rise to suspicion of the quality of China's fuel and gasoline. -- Sources say Chinese authorities have suspended a plan to expand an experimental property tax now levied in a few cities including Shanghai and Chongqing. -- A monthly index issued by China's national fund for protecting stock investors shows that in January, investor confidence in the domestic equity market reached its highest since April 2011 as the main Shanghai Composite Index began a sharp rebound since early December. -- High costs and bureaucracy have made 78 percent of Chinese firms feel it is difficult to operate in the European Union, according to a survey by the European Union Chamber of Commerce in China. -- In a move aimed at strengthening personal data protection, companies will be instructed to delete customer information after use, according to new guidelines implemented on Friday. Did Tories break election law by canvassing voters from secret call center? Voltage Security recently released the results of an industry survey in which 62% of senior-level IT and security respondents said they think the Government snoops on cloud-based company information. Millions of Barclays bank account holders will have their mobile devices tracked from October this year. The banking giant also plans to sell customer's purchasing information to third party companies or government departments, it has been revealed. Assange extradition case ‘a fit-up’? Google has been fined by German authorities over claims it illegally collected personal data during its Street View project. Britain is attempting to opt out of a European initiative enabling anyone to delete their personal details from online service providers â€“ a power known as the "right to be forgotten". Is Google habitually abusing your privacy? Do You Want To Be Utterly Forgettable On Facebook? Government denies that British live in “a surveillance society”. A Privacy And Security Pandora’s Box? ID cards – compulsory or not? Do we trust government on ID cards?